The food and drink culture in Adelaide has been going through a much-needed transformation and revitalisation in recent years, with a range of new pop-up eateries and small bars. Laneway The Third, Adelaide’s first permanent “container bar”, recently had its VIP opening night launch and is now open for business for another season. 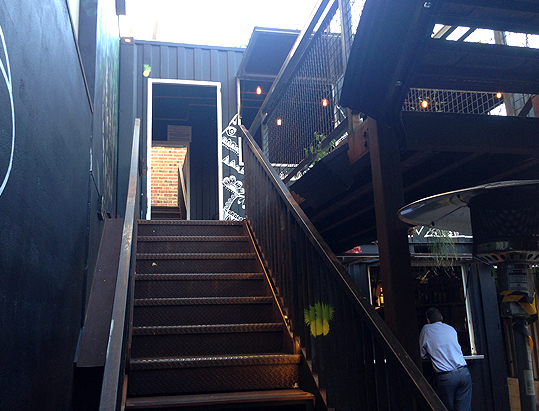 Located at 121 Hindley Street, you enter from just around the corner in a small access laneway. As its name suggests, this is Laneway’s third season, each year expanding on the shape and design of the premises. 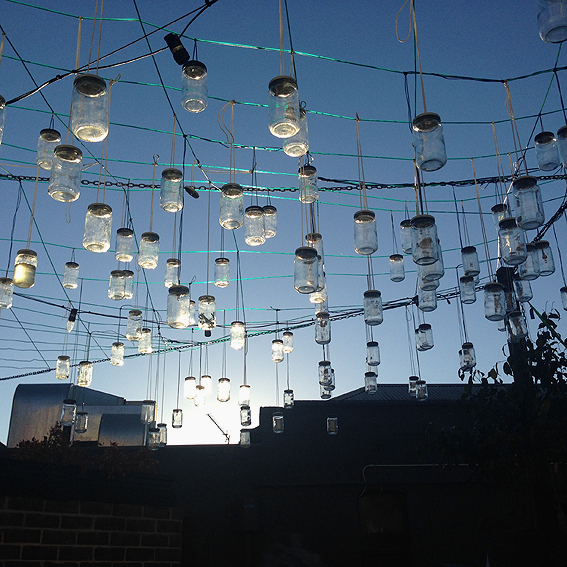 There are now three levels in which you can enjoy a drink and take in Adelaide’s balmy summer nights. Laneway is deceptively large inside. 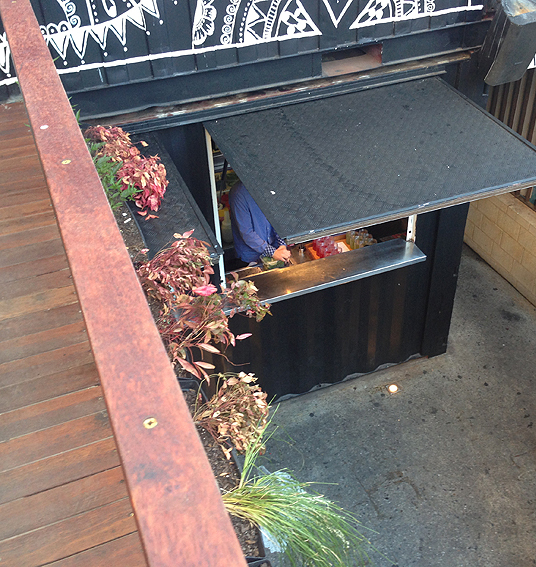 On ground level there are tables and stools and the first level has more seating overlooking Hindley Street. The upper level has been fitted with a floating Canary Island Pine bench, and up on the third level, above the seating, hang lights in jars that twinkle in the darkness. 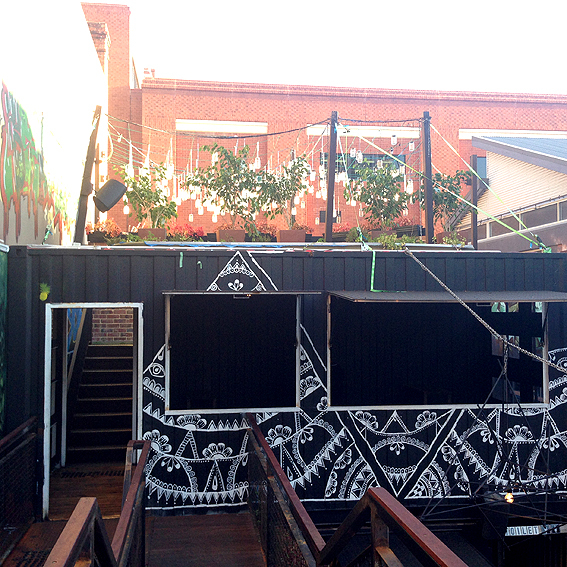 Some of Adelaide’s up-and-coming artists have had work incorporated into the venue, with murals and graffiti pieces featuring. 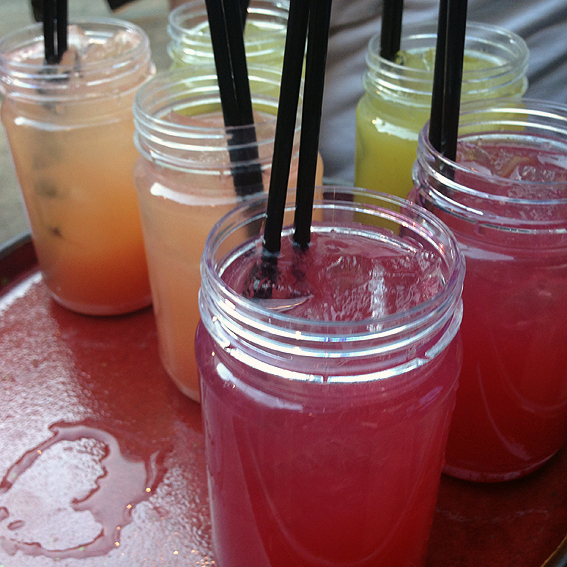 We were treated to a range of cocktails served in jars, which seem to be all the rage at the moment. These included: gin, apple and cucumber; vodka, cranberry and pomegranate; and my favourite, vodka, watermelon and pineapple. 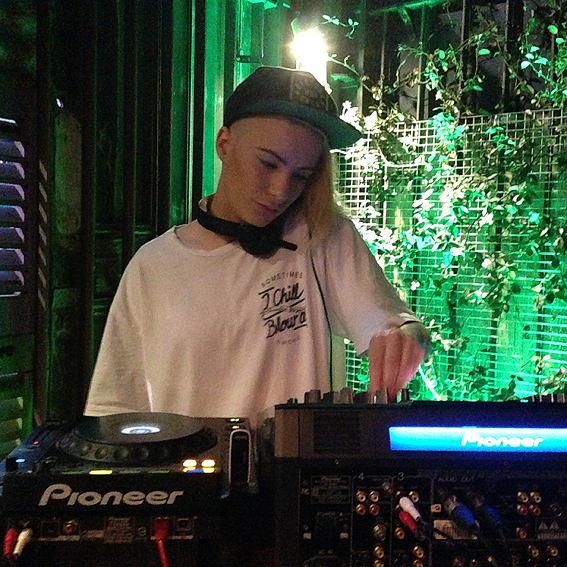 DJ Tink kept the music going with dance and pop tunes from the 1970s to today. I really like the feel of this place and there is plenty of room to sit back and relax on a warm summer’s evening, sipping one of the cocktails. In fact, I’d go so far as to say that Laneway is one of the best things about that part of Hindley Street, which still can’t shake its seedy reputation. Ever since the Hindley Street cinemas moved past its prime, my only excuse for venturing into this part of town had been the wonderful Jerusalem Sheshkebab House (more on that in a future post) – but now, thanks to Laneway, there’s another reason to return! 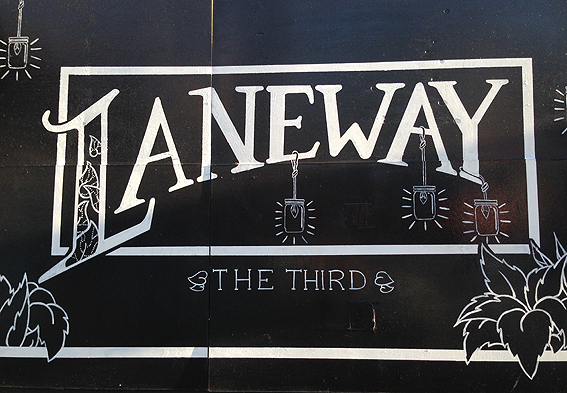 Laneway is open Thursday to Sunday, from 4.00pm to 4.00am.